The much talked about movie, Rajini Murugan's audio and teaser launch happened yesterday (June 16th) at Taj Coromandel, Chennai. The entire crew consisting of Sivakarthikeyan, Keerthi Suresh, comedian Soori, director Ponram, cinematographer Balasubramaniem, editor Vivek Harshan, lyricist Yugabharathi, director-producer Lingusamy and the hero of the evening D Imman were gathered there. The song Yennama Ippadi Panreengalema has already trended among the audience and it was even more exciting to hear its remix version in the album. "To silence the suspicions, I hereby declare, Rajini Murugan will release as per schedule and nothing or nobody can stop it. I will even pledge my house to have the movie released. Today, when I went to the beach to have a story discussion, it was amazing to see the colourful posters of Rajini Murugan. Looking at it gave me so much of energy and confidence" . 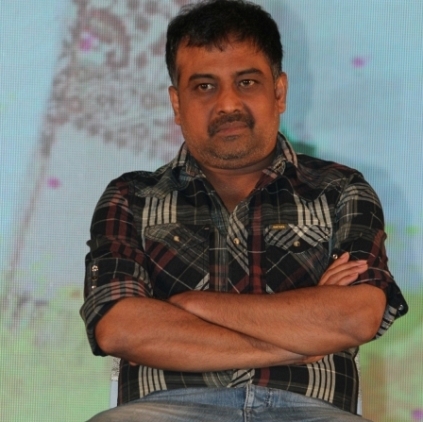 He further gave out statements about Uttama Villain, his next directorial venture Sandakozhi 2 and more. "My second half begins here. I am not here to prove to anybody. There is a long way to go. I will continue to work hard and keep making movies." To know all the other exciting features of the event, read the detailed event story through the following link! People looking for online information on D Imman, Director Ponram, Lingusamy, Rajini Murugan, Sivakarthikeyan will find this news story useful.